If it didn’t work then, will it work now? Elephant syndrome is what I call it, the tendency to never forget. But I am not referring to a good memory. I am talking about a faulty forgetter. 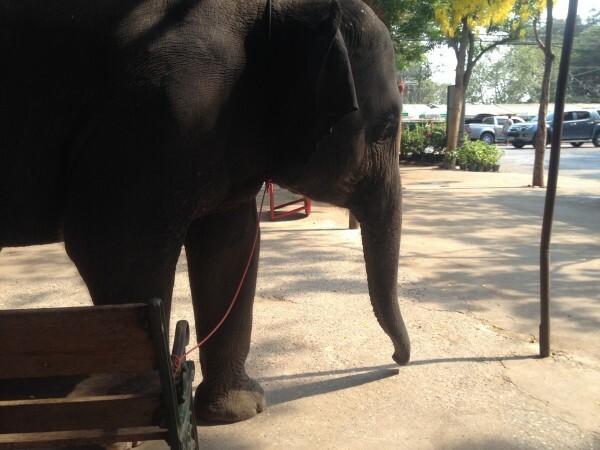 Like the elephant in the photo, we remain tied with string to obstacles we could readily overcome. That elephant was tied to an object when it was little but does not now understand what happened and what it could do to break out. Consider this. You are the leader of a company on its way to fulfilling its purpose. One of your associates suggests an idea which you’ve already tried. You’ve tried it before and it did not work. Most of us would reject it outright. We tend to have elephant syndrome. We remember those things that stymied us before, those tactics that failed, those efforts that fell short. And there well could be a good reason not to pursue them again. On the other hand, it might be more effective to take another look at it. Because that was then and this is now. The circumstances, components, and dynamics that stopped you back then may not exist anymore. When the economy crashed here in the US in 2009, it was virtually impossible to get a business loan. Many simply gave up trying. But that was then. The economy has changed and lenders are loaning again. Just because it didn’t work then does not mean one should not try now when things are different. You could be tied with string. What you remember as being insurmountable then is well within your power to do now. It’s impossible to steer a ship when it is not moving. In organizations beset by inertia and stagnation, the principle effect you want is movement. You want people to think, to project, to create, to propose, to experiment, to act. When the ship moves it can be steered. Your role as a leader is not to stand at the helm looking splendid in your captain’s uniform. No, your role is to guide and steer the ship. Everyone else gets to make it move. Let them do your job while you do yours. Never stomp on someone’s idea outright. It may indeed be a bad idea but don’t take the mere suggestion of it personal. Those who work for you and with you can either be associates or lackeys. How you respond to their suggestions says a lot about what you think about them, about yourself, and about your authority. People who have an inflated opinion of themselves and their position tend to dismiss others. But remember what I’ve written earlier, that a leader’s circle of concern is greater than their circle of ability. They need, indeed you need others to extend your reach, multiply your effectiveness, and divide your work. If it is indeed an unworkable idea, the mere suggestion of it suggests a teachable moment. So teach already. Define your objections, analyze and verify their validity, explain your reasons, invite participation and feedback in the discussion and, this is important here, come to the same conclusion together. There’s more to getting things done than just doing things. You are also in the process of developing capable people as well. There are, of course, some things that will never work. But you need to be fair about discerning what they are. There’s more at stake here than just exercising your authority.